3. 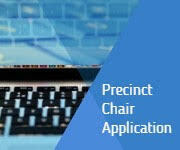 If it is not available you may apply for Precinct Coordinator. Here are our new logos for your use.